Let's go to Ebisu Station after taking three photos! 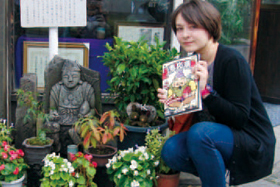 After getting this Ebisu Guide Book, let's take photos with three Ebisu statues. If you bring them to Ebisu Sta., you can get a nice present. This spot is good for a rest while wandering the town. 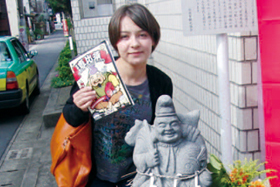 It exhibits the statues of Ebisu, one of the Seven Gods of Fortune of Saga, who is said to have granted many blessings. 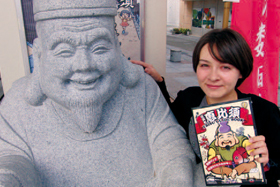 Various materials related to Ebisu are collected here including a location map of Ebisu statues in Saga, a register of about 800 Ebisu, tours of 88 sacred Ebisu places, and Ebisu located in the Kyushu region. 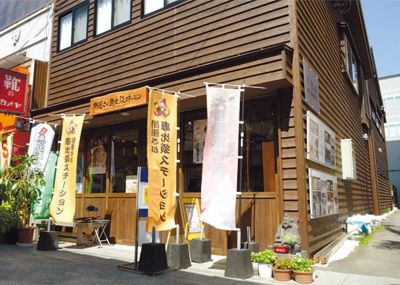 You can buy many items related to Ebisu here. Mondays (the following day if Monday is a holiday) and from late Dec. to early Jan.